We have tried to make this website as easy to use as possible but just to make it even simpler here is the help page to get you through any questions you might have. How do I place an order? Use the menu at the top of the site to navigate between departments & categories. Once you've found what your looking for then click the 'Add to Cart' button to add the product to your shopping cart, this will show up in your shopping cart in the menu at the very top right of the page. Continue shopping & when your ready to checkout click the shopping cart in the top right of the page, then click 'Checkout now'. You will be able to view the items in your shopping cart, enter coupon & voucher codes and proceed to the checkout. Can't find what your looking for? Give us a call or get in touch via email. In most cases we can get almost anything related to mountainboards, kites & kitesurfing, snowboarding and other departments products. If we don't sell it or can't tell you where to find it then there is probably a good reason not to have it! I have found this item cheaper elsewhere? Give us a call or email & we will normally match almost any price especially for local or regular customers. Remember we give discount for members of most local clubs which normally makes our products cheaper than the competition. Please note for a price match to be valid it must be in stock with the other supplier and will be the total price of the item plus any postage costs. What are your terms & conditions? To see a full run down of our terms & conditions, please check out our Terms & Conditions page. Why isn't the country I want my item shipped to in the postage list? We apologise if we have missed the country you want your item/s delivered too. 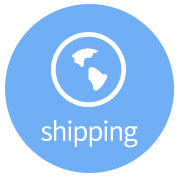 We are able to ship to any Country within the Eu, please contact us for a price and to have your country setup at our end. Likewise if you are not within the EU feel free to get in touch for a shipping quote. Can I have my order shipped to an alternative address? Our online order system is designed to give the option to have your item/s shipped to an alternative address, we can also address the package to a different name at the same address if it is a surprise/gift etc. just enter this information in the notes section on your order. Please note we can only ship to an alternative address if the billing address is authorised. I would like a special postage service, how can I arrange this? We can offer any service that Royal Mail or our courier of choice can provide, we will also do this at the cost they charge us and no extra. Let us know what you are after and the items required so we can weigh them up and get you a price or more information. For more information on shipping & how to track your order, please visit our Shipping Information page. How do I return an Item? 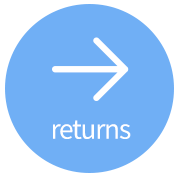 Returning goods to ATBShop is quick & easy. Simply download our RMA form, fill it in and then send it back to us & we'll take care of the rest. 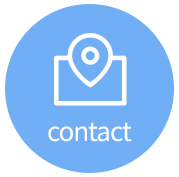 If you have any questions about returning goods to us then please contact us. If you are returning scooter or skateboard items then please return them to ATBShop Skate Warehouse. For any other items including longboards, please return them to ATBShop. I have broken/lost my bolt/screw/mind? We hold spare parts for our most popular products and can normally get a spare out in the post the same day if you order before 2pm. Please give us a call and describe the problem. It may be under warrantee with manufacturer and we can sort a replacement/repair for you. A digital photo of the problem can help us get things done faster but please call us with the basic problem first. I cannot find the help section of your website, do you have one? On this occasion you appear to have answered your own question!